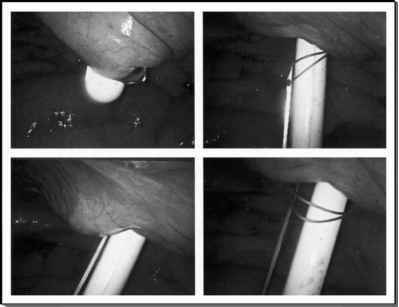 The preoperative preparation for renal cryoblation is the same as for open or laparoscopic approach. Thorough history and physical examination is mandatory. A complete blood count, basic metabolic panel, urine analysis, and culture are routinely performed. Patients should be informed about the potential for performing a radical nephrectomy laparoscopic or open if the situation demands. Metastatic evaluation usually includes a chest radiograph and abdominal computed tomography scan. A bone scan is reserved for patients with abnormal calcium and/or alkaline phosphatase levels. Magnetic resonance imaging is indicated in patients with contrast allergy or renal insufficiency. The majority of these patients may require preoperative clearance from an internist or a specialist for the comorbidities. Patients should sign an informed consent, which includes a detailed discussion about the limitations, expectations, and possible complications. We routinely perform bowel preparation with 300 mL of magnesium citrate with clear liquid diet a day prior to surgery and usually admit patients on the day of surgery. Patients are usually typed but not cross-matched for blood. Coordinating the procedure with an experienced radiologist in intraoperative laparoscopic ultrasound is often helpful.